How can I upgrade to TO3000, Version 11? TO3000 v11 is a new version of TO3000 which has many new features and improvements. Therefore the upgrade to TO3000 v11 is fee-based but its price is much less than a price of a new TO3000 license. a) Run Database Converter (can be found in the program's Start menu folder). b) Proceed through all the steps from the Wizard (see Pictures 1 and 2). 3. 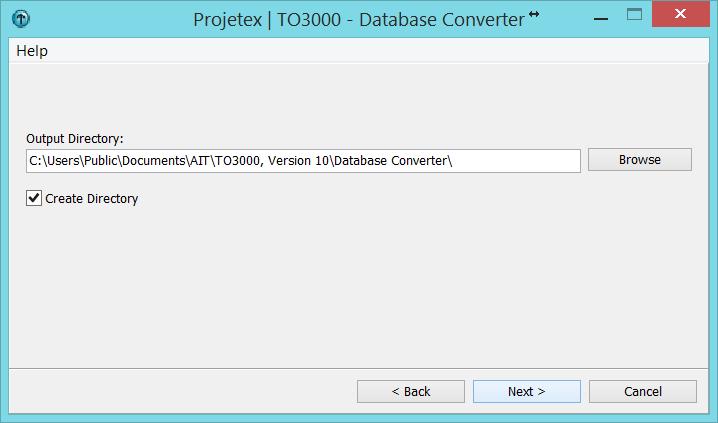 Copy your database file (to3000.fdb) from TO3000 v10 or your converted database to "C:\Users\Public\Documents\AIT\TO3000, Version 11\db". 4. Run TO3000 v11 installation file once again and install the software over the existing copy without any uninstallation. This procedure will automatically apply all update scripts to your database. Important! 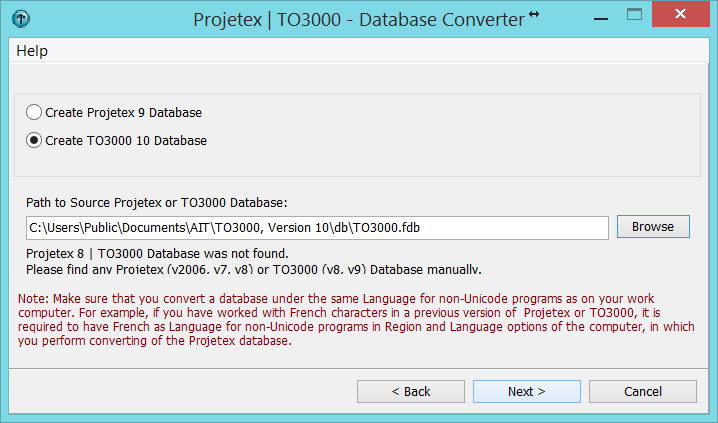 Do not delete your original database from the previous TO3000 version until you are sure that it works fine with TO3000 v11. "C:\Users\Public\Documents\AIT\TO3000, Version 11\Templates" - Copy your templates to this location.